A little while ago, I got a message via LinkedIn from a woman named Rebecca. 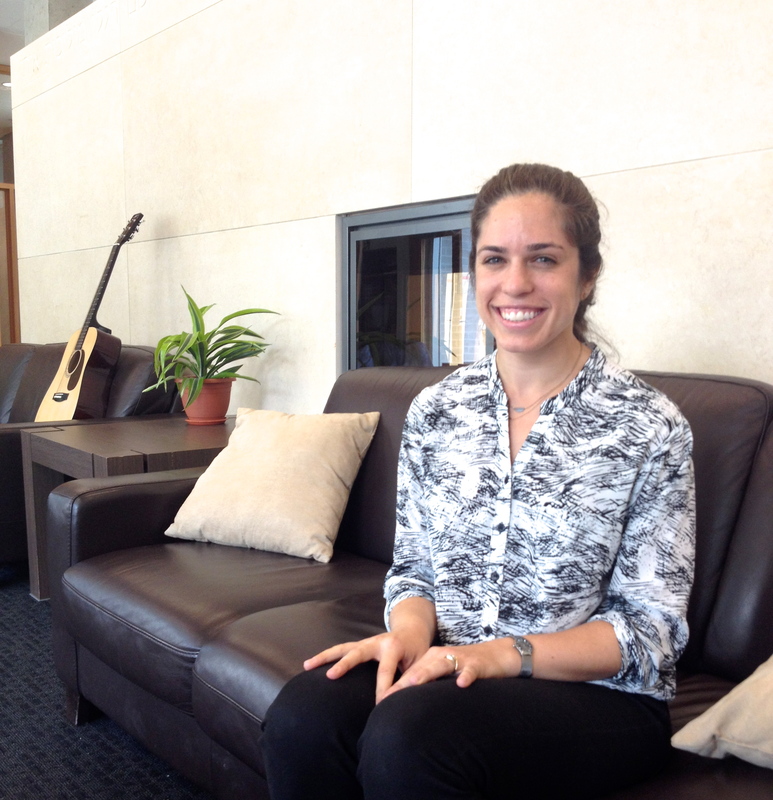 She works at the Hillel House at UBC and has been looking for opportunities for their community to get more involved in sustainability initiatives. She wanted to learn more about my story and I told her I’d love to share, so long as she’d share her story with me, too. She greeted me at the entrance of the Hillel House with a bright smile and the kind of warmth that alone puts you completely at ease after a rushed morning. Rebecca gave me a tour of the space. I was in awe of the set up — big comfy couches, a couple of guitars, a piano, coffee in mason jars, yoga mats, hardwood floors, and floor-to-ceiling windows. It looked like a dream, especially in comparison to some of the frantic and cluttered student spaces around campus. Rebecca explained that even though the Hillel house serves as a space for Jewish students, it’s really a space for everyone to use. She explained that a lot of students don’t actually know that it’s open to everyone, and I was guilty of this myself. I’m definitely going to use the space more and encourage my friends to do the same. They even host vegetarian dinners and lunches, along with discussions and seminars, and soon, a talent night. Rebecca is the Program Director at the Hillel House. She studied International Relations at Tufts University in Boston and really loved it there. “Tufts is such an active campus”, she told me, inspired by the way in which students are vocal about the issues that matter to them. Rebecca and I connected over blogging. She runs a blog called Wardrobe Vibrancy, where she features the fashion choices of people she meets. She believes that wearing an outfit that you feel good about — one that reflects your essence and your vision — can be a really profound way of self expression. She explained that her blog has evolved over time, highlighting everything from fashion ideas to simple, grounding reflections, and everything in between. I checked out her blog for myself, and a personal favourite is her post on her grandmother’s sense of fashion: “Beauty at 96“. In her free time, Rebecca loves to explore the outdoors. She spoke of how she’s stunned time and time again by the elegant beauty of British Columbia — from the forests to the oceans to the hiking trails. She also loves to spend time with her fiancé. They’ll be getting married next summer and she’s very excited about it. After meeting abroad on a service trip, their relationship endured some circumstantial distance. When Rebecca’s job brought her from the US to Vancouver she was thrilled to be closer to her partner. Her advice? If you care about something, don’t be afraid of working hard to achieve it. “And”, she went on, “don’t forget about the things you loved when you were a kid”. For Rebecca, it was art. She was in love with making art — from painting to drawing to photography. Through her blog, she makes sure to channel this childhood passion, taking photos about the things and people that matter to her.